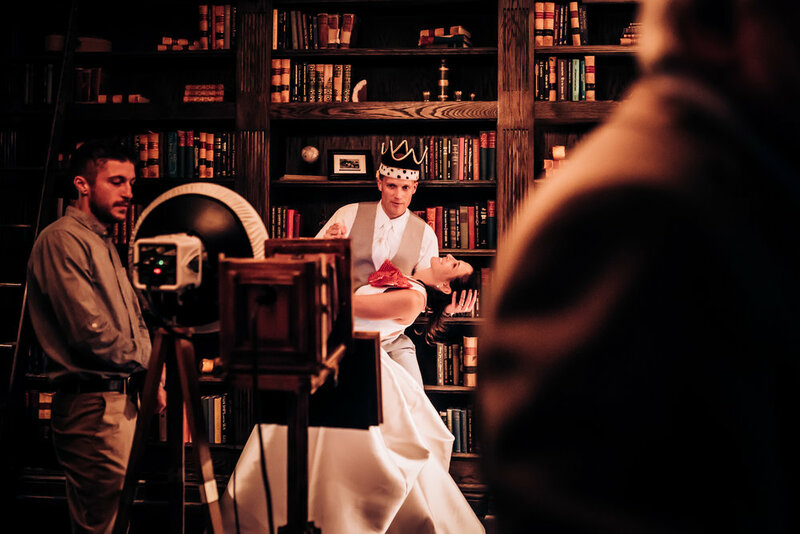 Living in Denver, we’re fortunate to have so many amazing locations for amazing weddings! One of our favorite places is the Manor House located just south of us in Littleton, Colorado. This colonial style mansion was commissioned to be built in 1914 by John Charles Shaffer. It was built with a 100 foot flagpole in the back that could be seen from Denver over the Dakota Hogback saddle. It had a light that was battery operated and when it was lit, Denver knew to come out for a shindig! The grounds of the Manor House are immaculately kept and perfect for picturesque weddings. The inside of the house is immaculate and has a myriad of different rooms, each with their own style and filled with intricate and classy details. 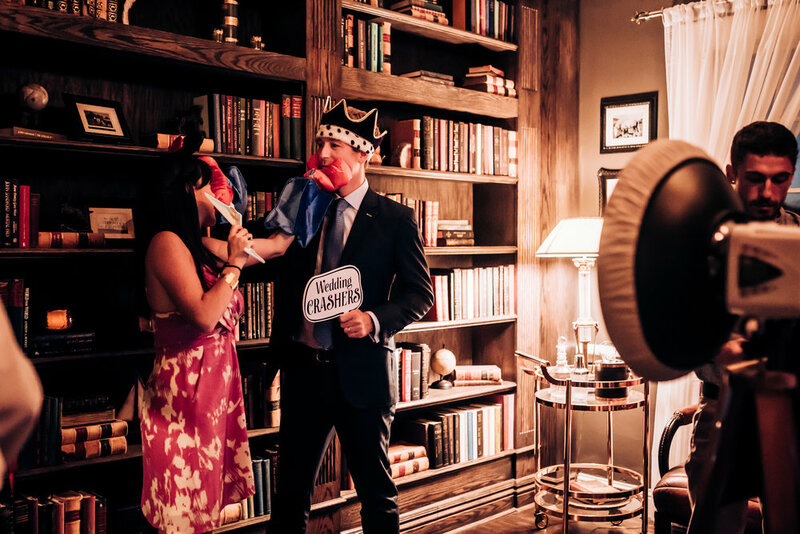 One of the benefits of being voted Denver’s Best for Photo Booth Service, is that we get to be a part of so many great events! MiHi Photo Booth was recently at the Manor House for a wedding. We were joined by our good friends at Valeria Heine Photography who graciously took these photos for us. We focus so much on our photo booth photos, that we thought it would be fun to share how our photo booth is set up! What it looks like around the booth. We always set up in the library when we do events at the Manor House. The books and shelves make for a naturally amazing backdrop! The amount of detail and texture lends itself perfectly for beautiful photos. Plus, it acts as a vivid reminder for the details of that special day. You can see our Red Bellows Booth before it got its facelift. We’re proud of our constant innovation. We’re constantly expanding the number of photo booths and always innovating with the styles and technology. We love the challenge of fitting in with special themes. Seriously, we do custom like no one else! 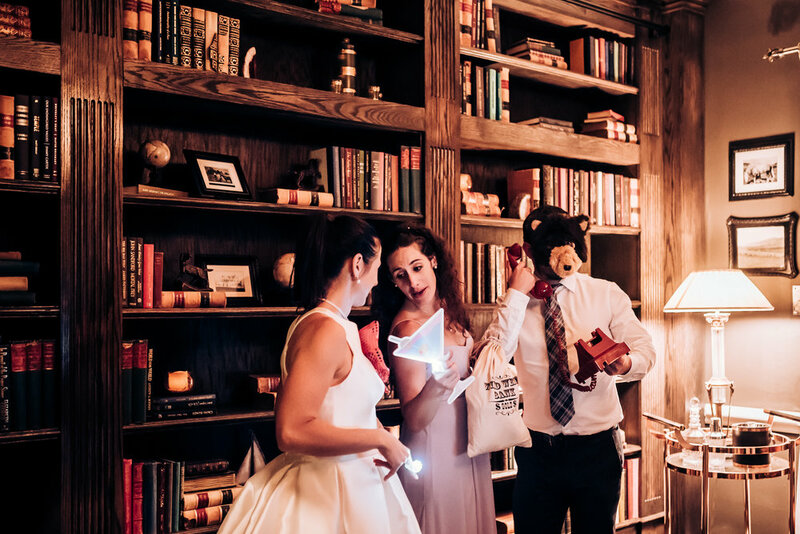 Our guests love our props! We have a TON of different props to bring, to fit any theme. Wedding. Wild West. Royalty. Masks. We’ll do most anything to help you unleash your creativity! That’s why we use the best props, bring the best equipment, and hire the friendliest attendants. We know that you want to have a memorable, fun, and stress-free day! With everything else that can go wrong during your special day, we ensure that the photo booth is NOT one of those things!